This week, however, I have mostly focused on code. This week and last I’ve changed the entire building placement sequence to better fit the upcoming changes in the UI. 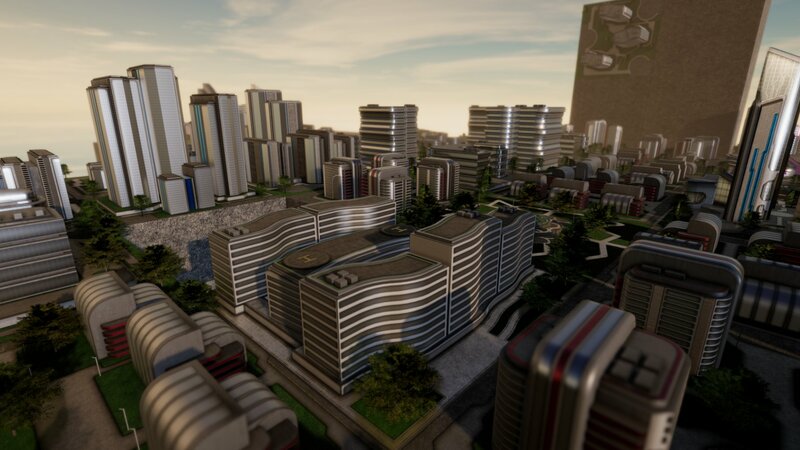 Before, placing buildings required first selecting a location, then selecting the building to place. 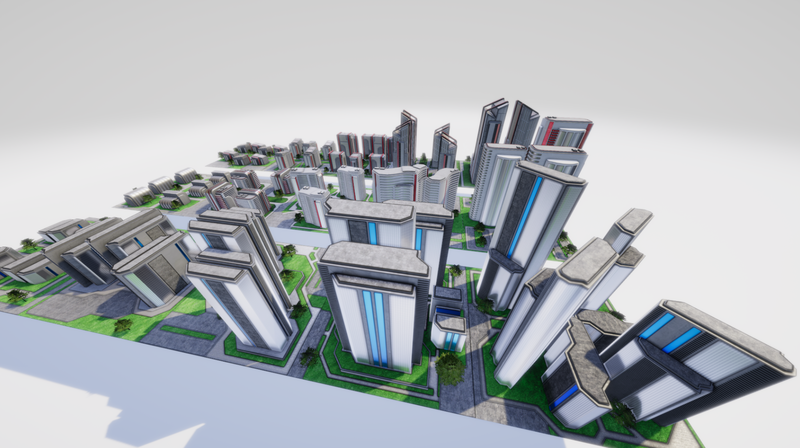 With the ever growing list of buildings, the UI has become too cramped to fit all the different types of buildings. So in order to fit all buildings into the UI, I will need to have a beefier UI with scrolling. So I’ve changed the sequence to selecting building first, then placing it. To display what side of a cube is currently selected, a hologram of the selected building is displayed. With these changed I’ve also made it possible to speed place buildings. This feature is especially intended for placement of zones and will make placement less tedious. The majority of code work has been spent on full implementation of the resource management system. Prior to this weeks work, buildings would check their surroundings for buildings they like and dislike. If there’s a “bad” building nearby, a building will incur a penalty. For example, residents don’t like living next to factories, so a residential zone placed next to an industrial zone will not house as many residents. This would also affect how much tax a building generates. The existence of power or water, for example, was not of any concern though. Now, buildings are not only producers of tax, or citizens, but also consumers. This means that the resource management system comes full circle. Not only do buildings need to be placed intelligently in your city as to not incur penalties, they also need to be given the necessary resources to produce. This means that residential zones that have no power or water, or lack food resources, will not grow and will pay less tax. Farms that have no water cannot produce food. Simply put, without input, no output.